When best-selling books — especially series — are adapted into movies by Hollywood, fans of that book or series are very cautious. Most of the time it’s because they are afraid of what’s going to be cut from the books. They are also afraid that someone may be cast for a certain part not because they are right for the role, but because putting their name on the movie may improve sales. However, certain series like Harry Potter have hit the jackpot and created a worldwide phenomenon. Not only is that good for the movies, but it’s good for the books as well. It leads people to start reading again who have mainly stayed away from that form of entertainment. Well, this time it looks as if The Hunger Games is that new phenomenon. It is enjoying its third weekend at the top of the box office, and holds the record for the best midnight debut ever for a non-sequel. So is it this good or just another fluke? Honestly, it is that good. According to multiple sources, it not only stays true to the book but the actors chosen are perfect as well. 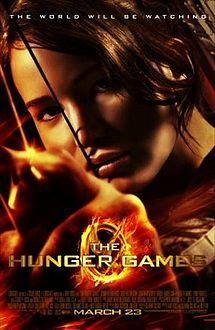 With Oscar nominee Jennifer Lawrence in the lead role as Katniss Everdeen, who takes her younger sister’s place as tribute for The Hunger Games, the credibility of the movie shot up from the start. Then add in support from Josh Hutcherson, Stanley Tucci, and Woody Harrelson. The movie was bound to be a winner before shooting began. The movie itself was very enjoyable. It is the kind of movie that deserves to be seen in the theater with action, drama, suspense, and a little romance. Jennifer Lawrence is flawless as Katniss, and proves she is moving towards that A-list status if she is not there already. The easiest way to sum it up is that it’s a two and half hour movie that doesn’t feel that long at all. The fun just flies by. 3D Movies: Experience Enhancer or Money Grabber?